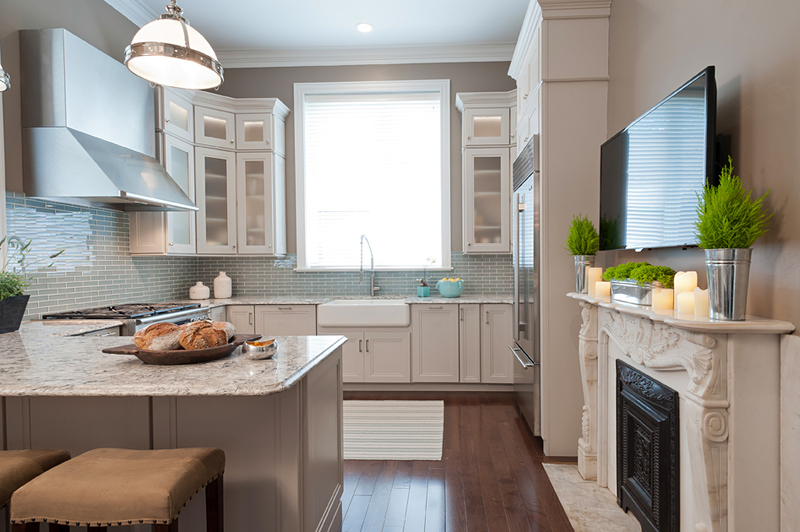 A Lafayette Square kitchen combines a contemporary look with historic features. Historic features such as the original marble fireplace, high ceilings and beautiful crown moldings were preserved, but the basic layout of the space was reconfigured to be more functional for the family. “The kitchen that came with the home was visually beautiful and functionally a complete failure,” says the homeowner. The new layout now allows the homeowners to do everything the family needs to do in the kitchen in an efficient manner. 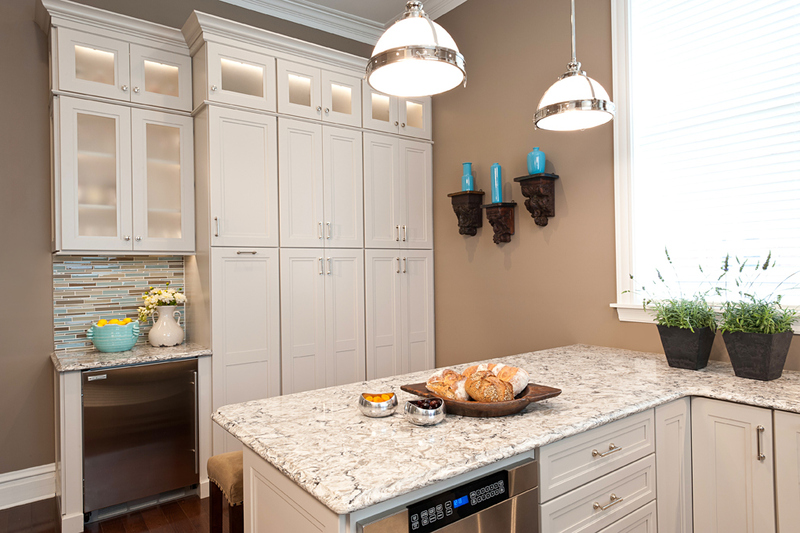 A beverage center with Sub Zero refrigerator and coffee bar is located outside of the main kitchen area to keep family members and guests out of the cook’s way. The homeowners’ children can now do homework at the island topped with Cambria countertops made from crushed quartz, which is located directly off the work area. To satisfy the cooks of the family, a Dacor dual fuel range with custom hood and Sub Zero refrigerator provide the latest technology while adding a modern touch. After meeting Tamsin through a mutual friend, the homeowners knew she was the right designer for them. “Each and every one of her rooms was a home,” the homeowner says. “They were inviting and comforting without being overdone.” The homeowners appreciated how Tamsin took time to understand who they were and how they lived before making any design decisions. 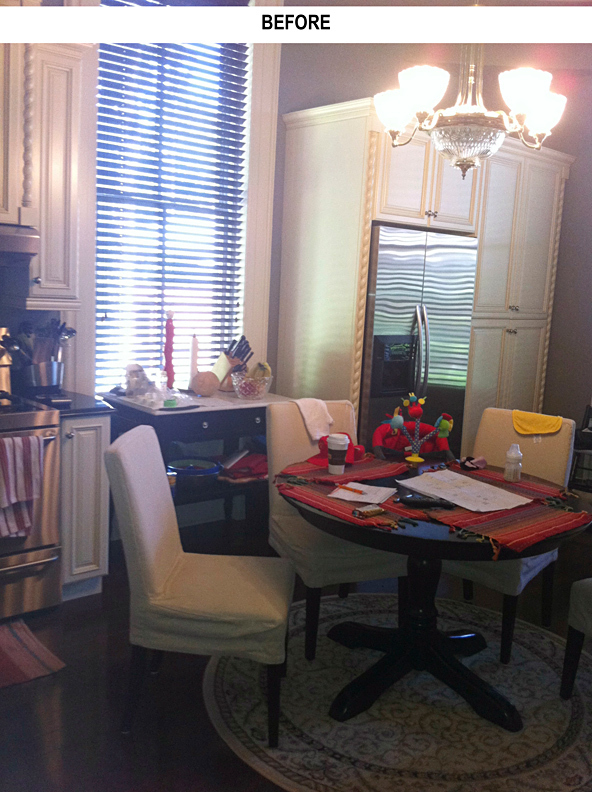 The small touches, colors and feels she added to the space made their kitchen the heart of their home. “I have come to realize that it’s not about how shiny or new things are, but about how they fit and work in your life, your daily flow,” says the homeowner.